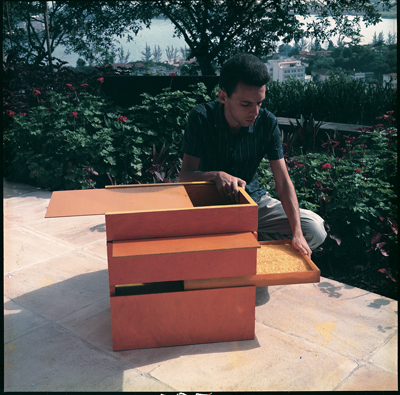 In this talk Dr. Monica Amor will return to the concept of the trans-object (which Hélio Oiticica developed in 1963) to articulate the performative dimension of the work that followed the Neoconcrete inquiry of the 1959-1961 period. This performative turn coincided, as is well known, with Oiticica’s incursion into the favela of Mangueira in Rio de Janeiro and was theorized in relation to the concept of “work-environment” and the notion of “vivência” (life-experience). Interested in comparing this emphasis on “vivência” to the “experiential”—which art historian Dorothea Von Hantelmann relates to the art of the sixties and the rise of the experience society—Professor Amor will propose some venues of investigation that concern material that she is exploring with students in the Exhibition Development Seminar at MICA where this semester they continue work on an exhibition entitled Counternarratives: Performance and Actions in Public Space.